To some, braving a storm and conquering a mountain are just metaphors. 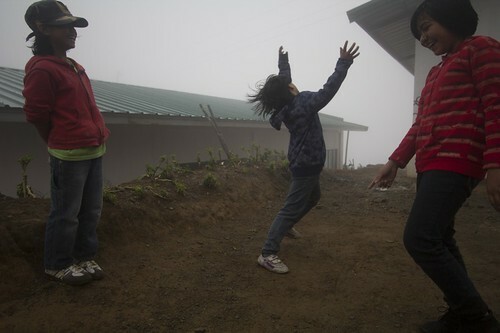 Not to a group of photographers, writers, artists, and other professionals who went up to the third highest mountain in the Philippines despite the strong winds and heavy rains of typhoon Odette on September 21. I am part of Juan Portrait, a group of volunteers who use our individual skills to give back to communities across the country. 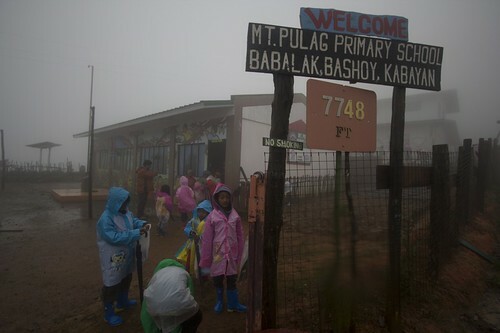 We climbed Mount Pulag to give raincoats and boots to the children of Mount Pulag Primary School, Lebbeng Primary School, and Abucot Elementary School. We were also there to teach them how to take pictures. The teachers and students welcomed us through music and dance, the warmth of their welcome a sharp contrast to the nonstop rains and strong blasts of wind outside. They sang a song in their own language, and later, a song they learned from Juan Portrait volunteers who visited them earlier. The song was Panahon Na Naman by Rivermaya. 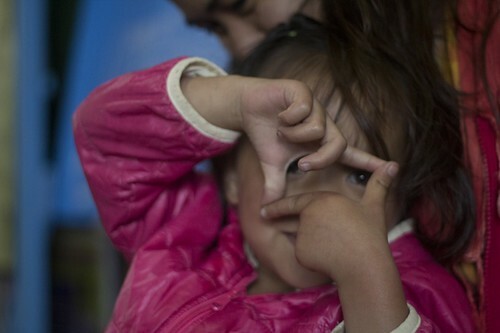 In the afternoon we conducted a basic photography training for the kids. I have given talks about photography in school, been interviewed by college students for their thesis, but I have never taught kids. I was nervous; they might not understand me, most of them don’t speak Tagalog. 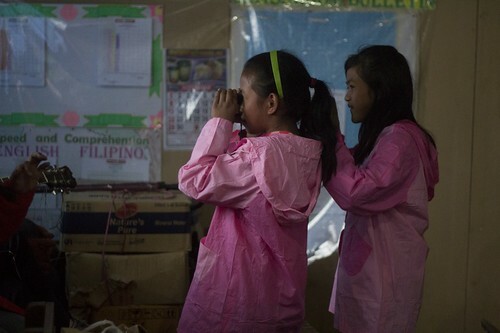 But their eagerness to learn was what motivated me to share what I know. The kids were very attentive. They listened. When I asked them to recall what I have said, they did. I could see in their eyes the excitement to learn photography and to put in practice what they have learned. 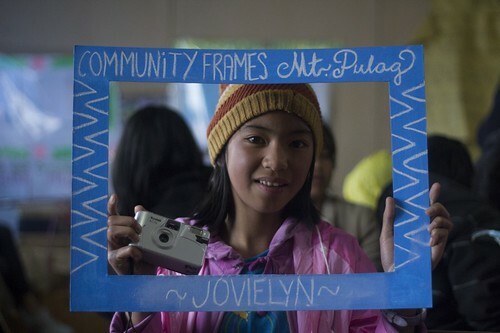 We encouraged the kids to tell the story of Mount Pulag through their eyes, to communicate the beauty of the place through their photographs. 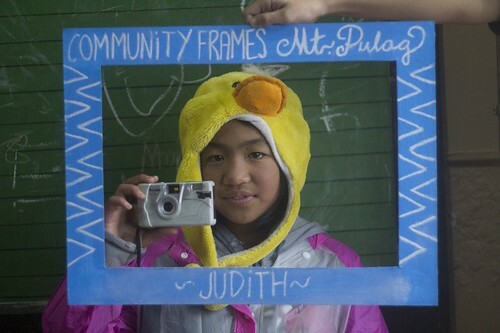 We gave them a point-and-shoot film camera with 36 rolls. We told them to take a photo a day, and we will come back after 36 days to print the images they captured. 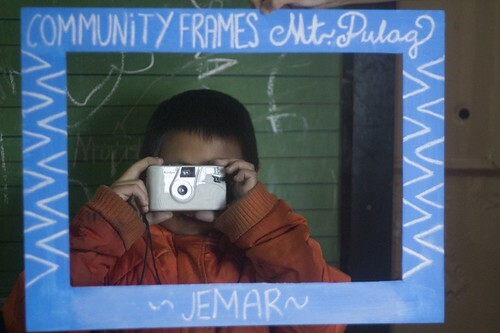 Our plan is to showcase their works in a photo exhibit in Mount Pulag come December. 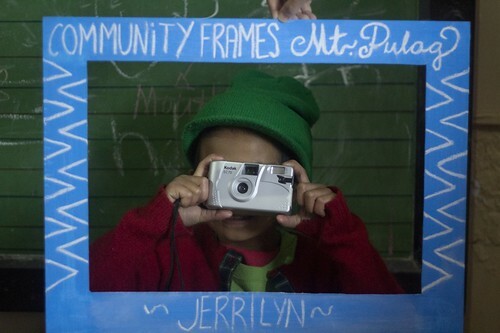 We took a photo of each of them in a makeshift blue frame holding their new camera. The picture will serve as their photographer’s ID. 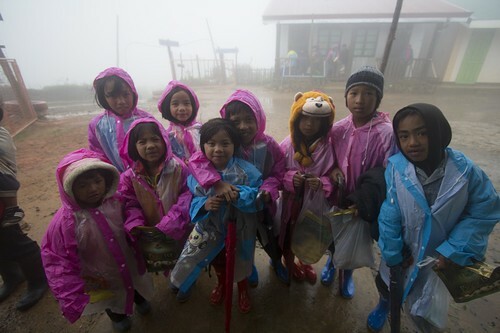 As for me, seeing all those kids with their cameras and new raincoats and boots to shield themselves from the rain makes me think of how easy it is to find joy in simple things. 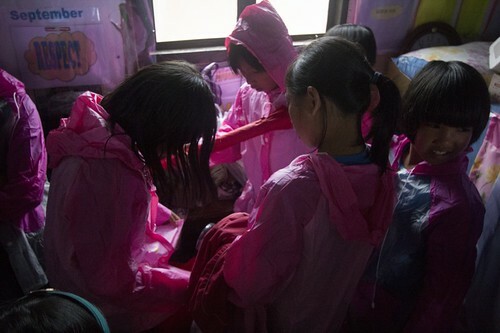 Seeing the children all in a hurry to fit the raincoats and boots, comparing them to what the others got, this is what life should be about: sharing what you have, sharing what you know. 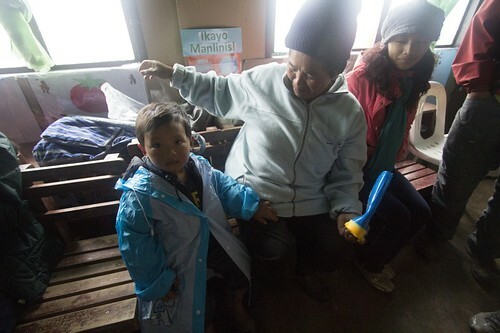 Despite the gloomy weather and the pervading greyness of Mount Pulag on that stormy Saturday, there was vividness and brightness to the place that didn’t come from the colorful raincoats and boots alone. So yes, we at Juan Portrait have conquered a mountain and braved a storm, in more ways than one. AC Dimatatac is a freelance photojournalist based in Manila and Bulacan. Her website is www.acdimatatac.net.